Omar Abdel-Rahman, the Muslim cleric known as “the blind sheikh” who was convicted of conspiracy in the 1993 World Trade Center bombing and of planning a broader “war of urban terrorism” in the United States, died on Saturday in a North Carolina prison, authorities said. Abdel-Rahman, 78, died of natural causes at 9:40 a.m. (1440 GMT) at a medical centre at a federal prison compound in Butner, North Carolina, according to Greg Norton, a spokesman. 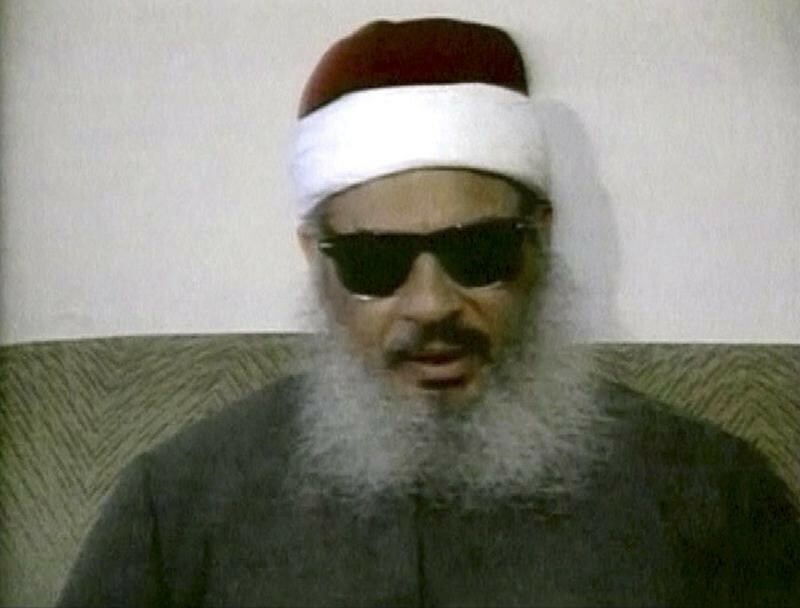 With his long grey beard, sunglasses and red and white clerical cap, the charismatic Abdel-Rahman was the face of radical Islam in the 1980s and 1990s. He preached a fiery brand of Islam that called for the death of people and governments he disapproved of and the installation of an Islamic government in Egypt. His following was tied to fundamentalist killings and bomb attacks around the world. “Abdel-Rahman was at the vortex of some of the bloodiest and most consequential terrorist incidents of the 1990s – incidents that would establish the patterns of global terrorism that continue to bedevil us today,” said Bruce Hoffman, a terrorism expert at Georgetown University in Washington. He managed to get to New York after the U.S. Embassy in Sudan granted him a tourist visa in 1990 – despite the fact that he was on the State Department’s list of people with ties to terror groups. U.S. authorities took action in 1992 by revoking Abdel-Rahman’s green card on the grounds that he had lied about a bad check charge in Egypt and about having two wives when he entered the country. He was facing the possibility of deportation when a truck bomb went off in the basement parking garage of the World Trade Center on Feb. 26, 1993, killing six people and injuring more than 1,000 in an attack that made Americans realise that they were not immune to international terrorism. Four months later Abdel-Rahman was arrested and went on trial with several followers in 1995, accused of plotting a day of terror for the United States – assassinations and synchronized bombings of the U.N. headquarters, a major federal government facility in Manhattan and tunnels and a bridge linking New York City and New Jersey. The indictment said Abdel-Rahman and his followers planned to “levy a war of urban terrorism against the United States” as part of a jihad – or holy war – to stop U.S. support for Israel and change its overall Middle East policy. Much of the case against Abdel-Rahman and his followers was based on video and audio recordings made with the help of a bodyguard for the sheikh who became an FBI informant. A video also showed four defendants mixing fertiliser and diesel fuel for bombs.